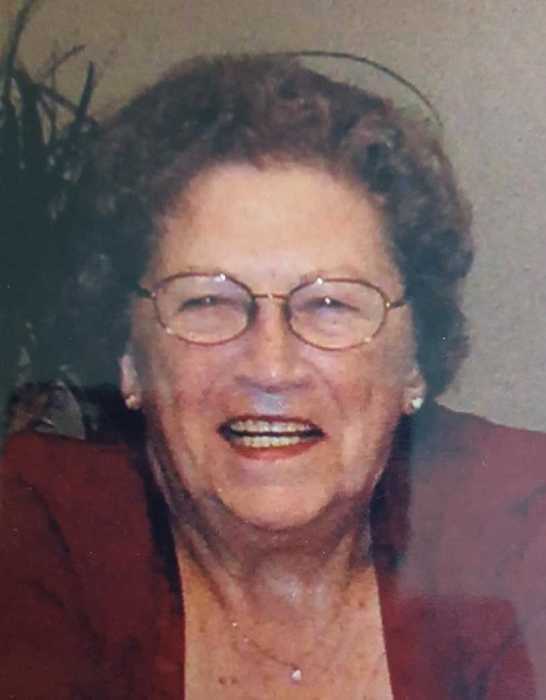 Obituary for Marion Jane (Schmidt) Rollenhagen | Throop Funeral Home, Inc.
Marion Jane Rollenhagen (Schmidt), age 88, passed away Friday, August 24, 2018. Marion was born in Nunica, to the late Sigmund and Agnes Schmidt and was a lifelong resident of Nunica and Coopersville. In addition to her parents Marion was preceded in death by her husband Leonard Rollenhagen, infant son and her siblings. She is survived by her children; Terrie Hoekstra, David (Terri) Rollenhagen, and Dan Rollenhagen, grandchildren; Kati Hoekstra, Hillary (Ryan) Follick and their son Kaden, Dean Rollenhagen (Jordan Bishop) and their son Leo and several nieces and nephews. Marion was happiest when she was in the company of her children, grandchildren, great grandchildren and friends. She was a great cook, talented seamstress, loved animals. In Keeping with her wish cremation has taken place. A grave side service will be held 4:30 pm Wednesday, August 29, 2018 at the Coopersville-Polkton Twp. cemetery. Memorial donations may be made to a charity of one’s choice.